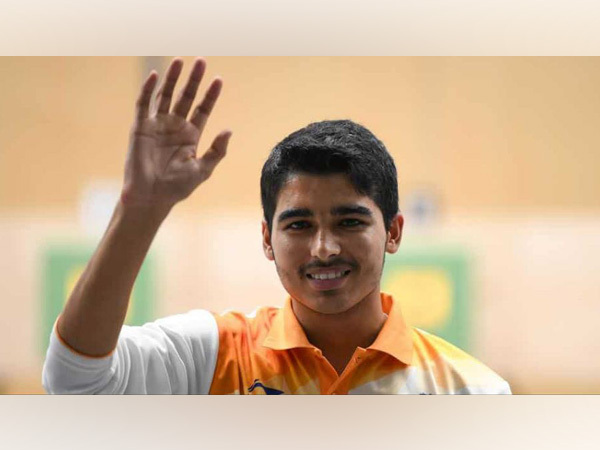 Meerut (Uttar Pradesh) [India], August 21 (ANI): The family of shooter Saurabh Chaudhary on Tuesday expressed happiness after their son bagged a gold medal in men's 10m air pistol event at the ongoing 18th edition of the Asian Games. Jakarta [Indonesia], August 21 (ANI): India kicked off the fourth day of the ongoing 18th edition of the Asian Games on a promising note as Indian shooter Saurabh Chaudhary bagged a gold medal in the 10m air pistol event here on Tuesday. Hannover [Germany], May 14 (ANI): India's Heena Sidhu bagged a gold medal in the 10m air pistol category of the international shooting competition of Hannover last evening, in what marked as a strong build-up to next week's ISSF World Cup in Munich. Gold Coast [Australia], April 14 (ANI): Few days after picking gold and silver each in the ongoing edition of the 21st Commonwealth Games, star Indian shooter Heena Sidhu on Saturday said that winning a medal in such `important event` means a lot to her. New Delhi [India], March 6 (ANI): India's gold tally increased after pistol shooter Manu Bhaker contributed her second gold medal in the International Shooting Sport Federation (ISSF) World Cup when she partnered Om Prakash Mitharval for the 10m Air Pistol mixed team gold on Monday. New Delhi [India], Jan. 1 (ANI): Shooter Shahzar Rizvi ended a brilliant 2017 by winning the Men's 10m Air Pistol Gold at the 61st National Shooting Championship (NSCC), at the Karni Singh Shooting Range here on Sunday. New Delhi [India], November 1 (ANI): India continued their good performance in the ongoing Commonwealth Shooting Championship in Brisbane, Australia, with a double Gold in the men's 10m air pistol and women's 10m air rifle events on day two of competitions.